If you’re looking for an unusual taste of France and fancy an itinerary off the beaten track, you should put the Tarn on your radar. We’re in the land of the troubadours, who sang the value of chivalry and courtly love from the 12th to the mid 14th centuries. Here took part one of the bloodiest crusades, led by Pope Innocent III against the Cathars (also called Albigensian, from the city of Albi), branded as heretics and, therefore, persecuted and killed in a war that lasted 20 years. Today, the Tarn is a region rich of history and culture, a rural area where farmers proudly supply high quality products that preserved the local traditions, a region dotted by hilltop towns with the typical wood and brick façades and where the atmosphere is welcoming and laid-back. Ready for a virtual stroll? 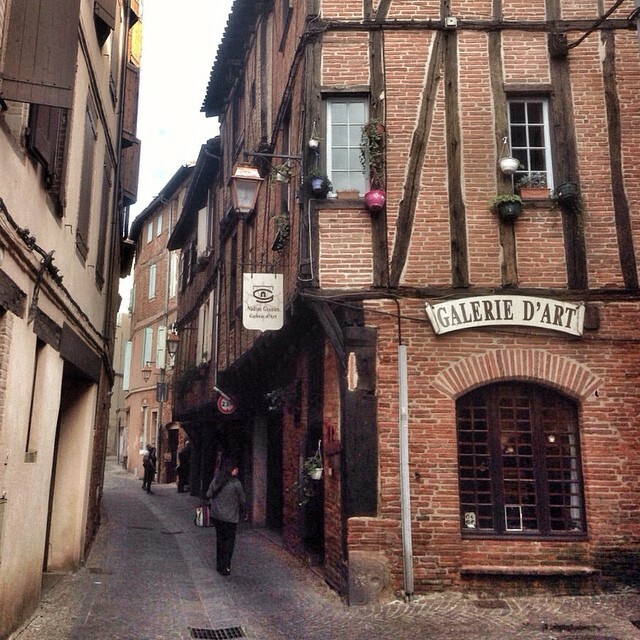 Narrow cobblestone streets, old houses built in red bricks, as is typical in the Tarn, pretty lamps hanging from the facades, small shops where goods are showcased in an exquisite fashion. Everything in Albi invited to get lost in the alleys, letting the eyes roaming around and catching the countless enchanting details. 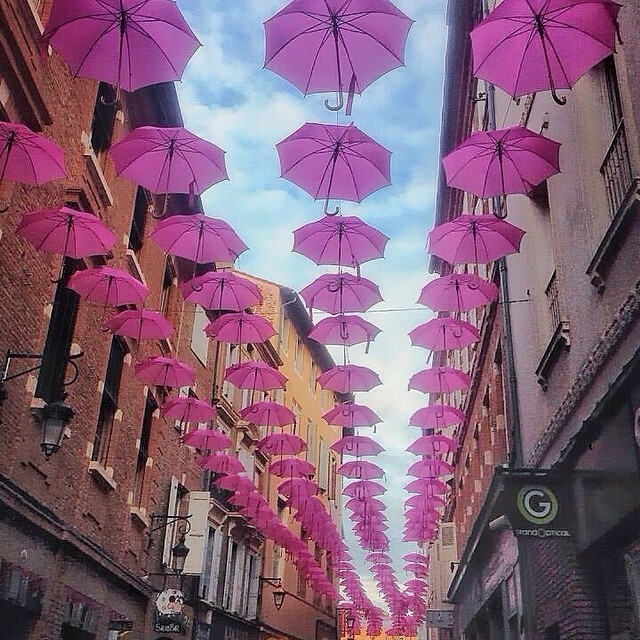 Dozens of hanging pink umbrellas along one of the main streets to celebrate the Breast Cancer Awareness Month. Isn’t it a wonderful idea? 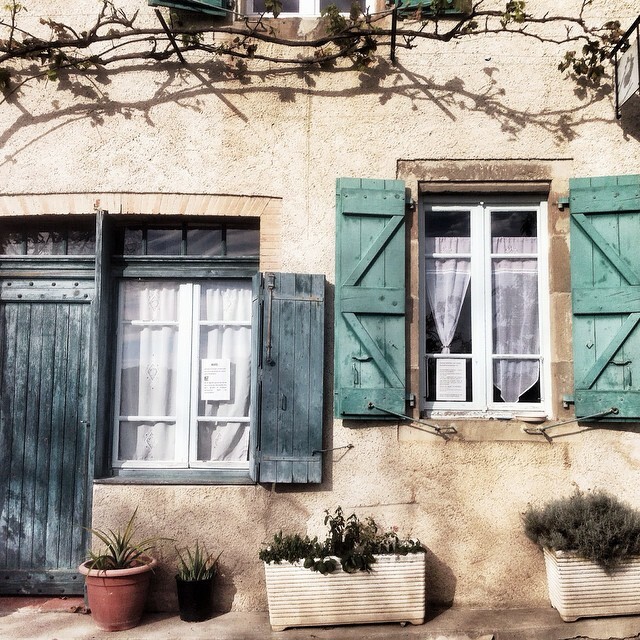 I remember that one of the things that fascinated me in the small towns of Provence, like the pretty hamlet of Aurel, were the colorful shutters. Blue, green, pink, yellow, purple. An explosion of shades that makes life brighter, even on a bad day. 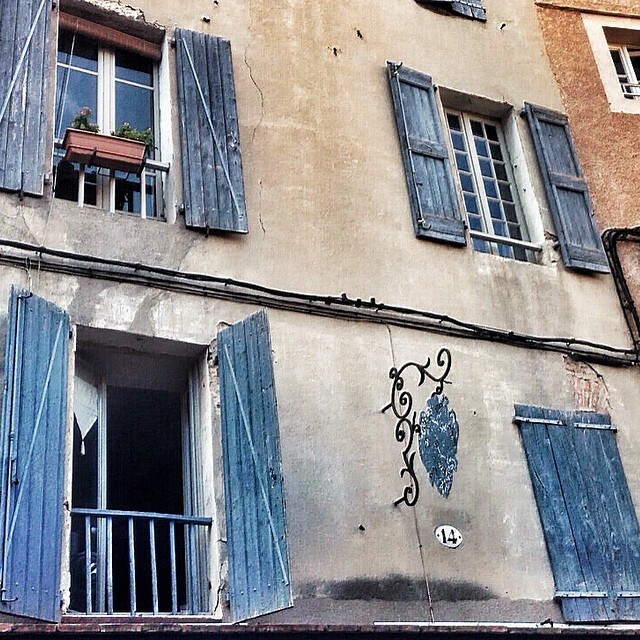 In Albi, I found out that the colours were used in the past to mark different families. Clever, right? 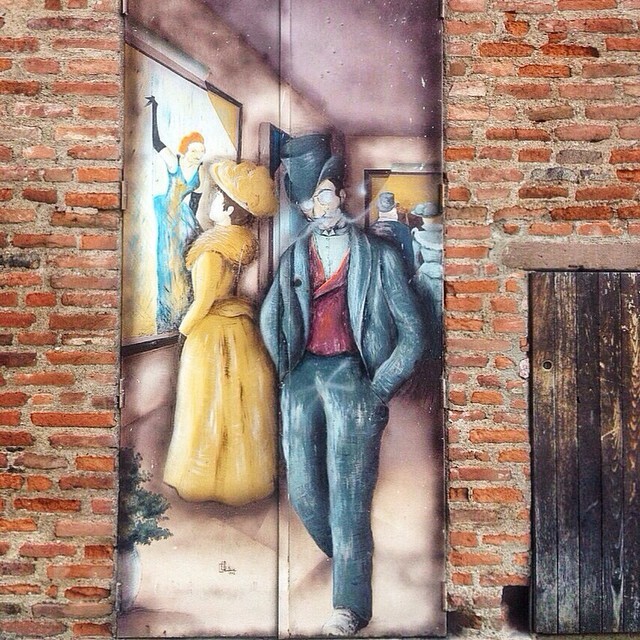 Albi is also the town where the French painter Henri de Toulouse-Lautrec was born, and what better location to host a Museum to pay him homage than the Palais de la Berbie? This imposing building made of red bricks was a fortress and the former Bishop’s Palace, dating back to the 13th Century. Build earlier than the Palace of the Popes in Avignon, it is one of the oldest monuments of the the Middle-Age and directly related to the crusade to defeat the Cathar heresy and a UNESCO World Heritage Site as an outstanding example of medieval architecture and urban development. The Toulouse-Lautrec Museum boasts the most important collection in the world, encompassing more than 1,000 works showing the artist’s multifaceted and ground-breaking talent. History is so inherent to Albi that it can be spotted also in a few examples of wall art decorating the old houses, like that one I stumbled into by chance in one of the narrow streets nearby the Cathedral. 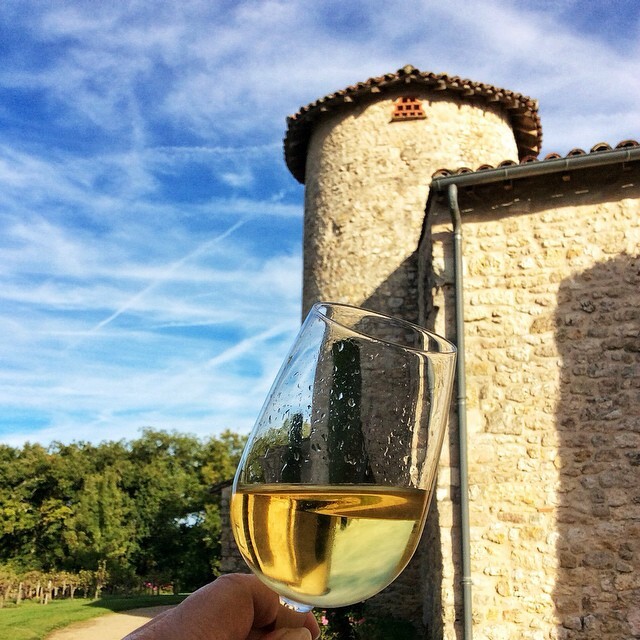 Few things speak of France like castles and vineyards, and you’ll find plenty in the Tarn. The Galliac region boasts excellent white and red wines, perfectly pairing with the local food specialties. 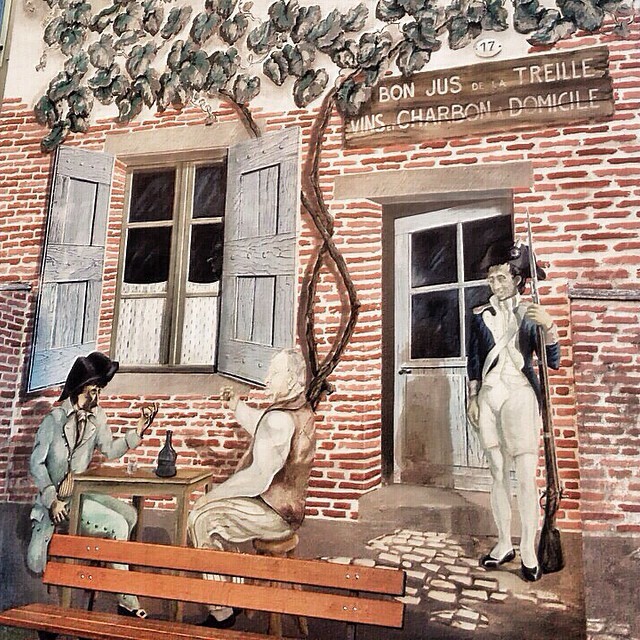 And wine tasting at the market, in one of the many charming restaurants or in a chateau is a must. Blessed by many natural resources, the Tarn developed many industrial activities and handicrafts, some of which survived to the present days. Even if museums are not your piece of cake, a visit to the Glass Museum in Carmaux is worth a detour, if only to see the annexed workshop and the demonstration of glass-blowing. Believe me, it’s truly fascinating. By plane: the nearest airport is Toulouse-Blagnac, which has regular flights from/to many European cities. Note: I was kindly invited by Tourism Tarn to discover this little known area of France. As always, opinions and impressions are only mine. Thank you, Linda. 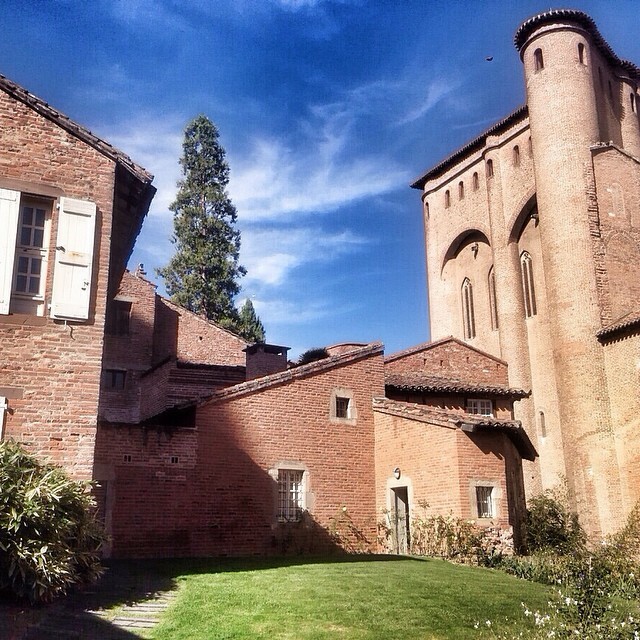 I’m glad you liked the virtual tour of charming Albi. Cheers back from Italy! I didn’t know that about Toulouse-Lautrec! 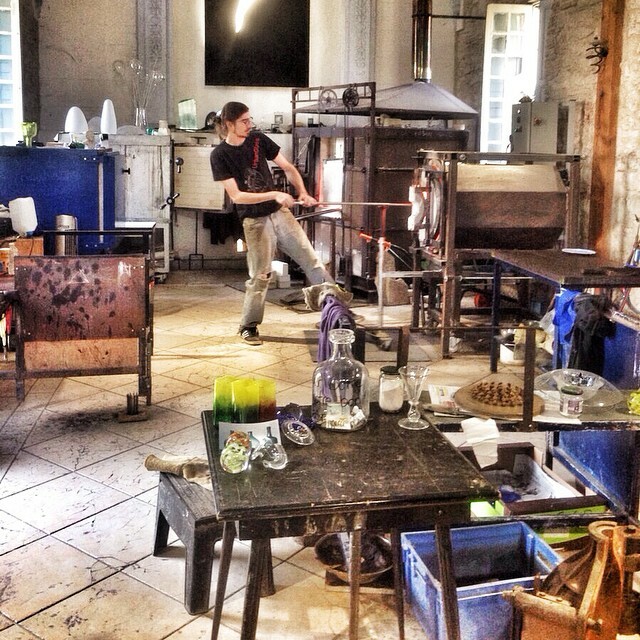 I’m always up for a destination associated with an artist or with glass production (which fascinates me). 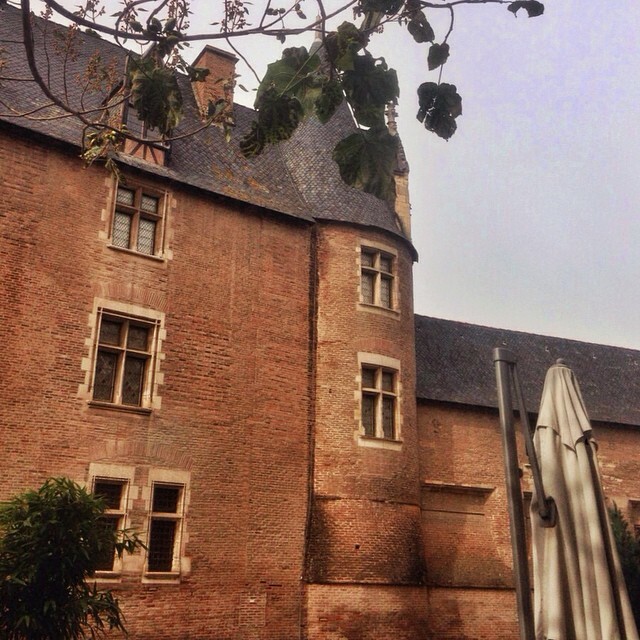 France is just so epic on so many levels … thanks for another look into one of its countryside towns! Simon, I’ve never heard of Tarn, but I would love to go there. Your photos are so pretty, and it looks like a great place to explore.